An alien species, native to the mountains of the European continent, but recorded from the district around Belfast and from the north of Co Down since at least the 1870s. There are apparently very few records after the late 1950s. This species was found in hedgebanks, quarries and waste places. 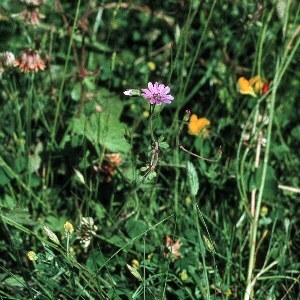 The flowers are less than half an inch across (10mm), the petals purple and very deeply notched: the whole plant can reach about 2ft (60cm) in height. All names: Geranium pyrenaicum Burm.f. 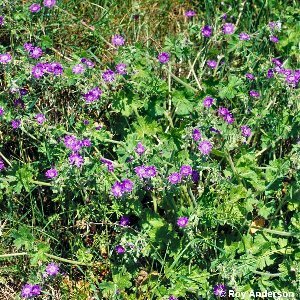 ; Geranium perenne Huds.